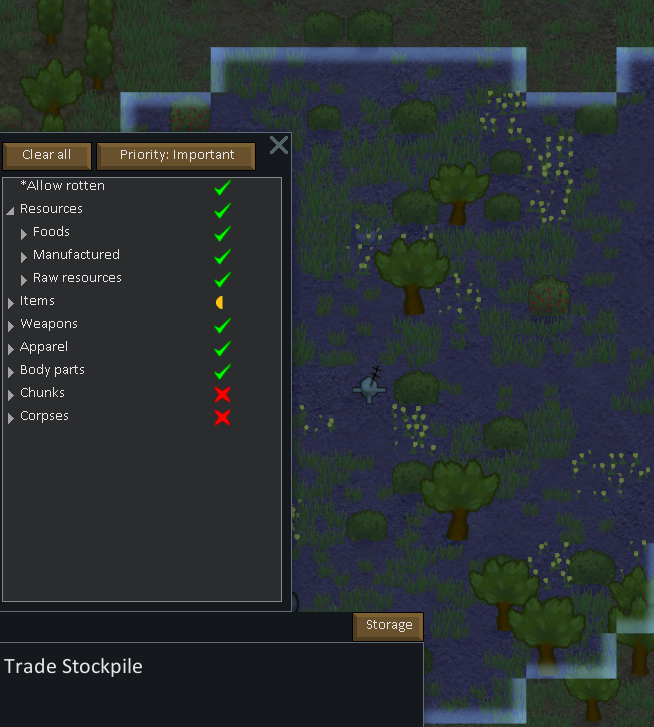 It makes the Trade Beacons add Trading Stockpiles automatically - no more setting Stockpiles YAY!!!! Awesome mod!!!!! took way too long doe! Very nice! I'll try this out for the time being, I hope you can add the sunlamp too! I finally got to watch you make a mod, and it just so happened you made this insanely useful mod. OT: Your twitch sig gets it wrong. When you're streaming it says you're offline, and when you're offline, it says you're streaming. Now it's right. Hehe, another mod u always wanted somehow. I would propose to integrate that one core. Edit: Though I wish your timing was better =P like by 24ish hours, I just had to map out my trade zone yesterday so I don't quite get to use this one in a while yet! Edit 2: and I think you're closing in on the 'being better modder then me' title! My DREAM just came TRUE ! Thanks everybody Hope you enjoy it. As I was scanning the forum I saw this and read it as "Better Bacon". All I could think was "That's impossible! You can't make bacon any better than it already is." But yeah, this looks like an awesome addition. It should probably be incorporated into EdB's UI mod if not into the actual game itself. I'm going to give it a test run tomorrow probably. even when i was in ur stream, i have NO clue what this mod does. when you select a trade beacon it shows a circle around it where stuff has to be inside of to be seen by the traders. This draws a round stockpile inside that circle. what was intended is not working.